iExplorer is an iOS file manager created for Windows users who own iPhones, iPads or iPods. This program might come in handy if you wish to easily and quickly back up your iOS media files, contacts, messages or voicemails to your computer. After you connect your Apple gadget to your PC, the application starts scanning the contents of your iOS device. You can use the integrated search utility to immediately find the files you wish to back up. A good aspect is the fact that the program comes with a built-in audio player which comes in handy when backing up your iOS music files to your computer. However, the application comes with many disadvantages. For starters, it brings you an unappealing interface design. Furthermore, it occasionally runs slow, especially when scanning the contents of your iOS device. The thing that bothered me the most was that iExplorer doesn't let you transfer files from your local directories to the connected iOS gadget. Many iOS file managers provide you with this feature and are way cheaper than iExplorer. 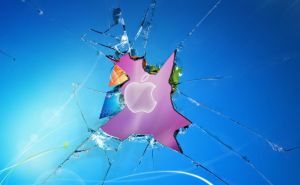 Hence, you should try a different utility for managing your iOS data from your Windows PC.